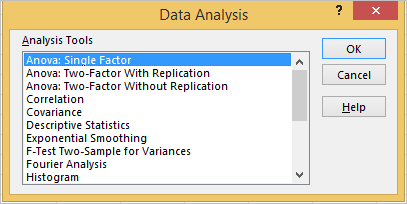 Analysis ToolPak is an Excel add –in program that helps to analyze the data for the purpose of finance, statistics and Engineering. 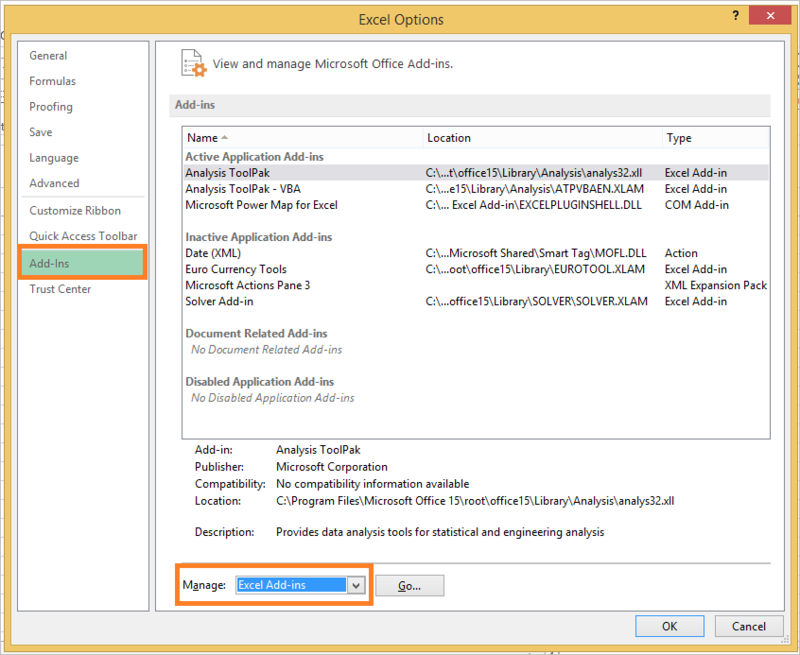 In this tutorial we will learn how to load or install the Analysis ToolPak in Excel. Step 1: on the file tab, click options. Step 2: Click Add-ins on the left , under manage select Excel Add-ins and click on the Go button. 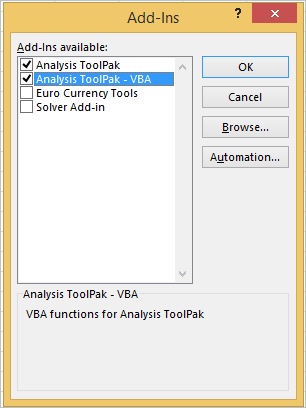 You have successfully loaded the Analysis ToolPak in Excel. On the top right corner of the data tab you can see the Data Analysis package. When you click on the data analysis you will get the list of Analysis that you could perform with help of Analysis ToolPak which is shown below.